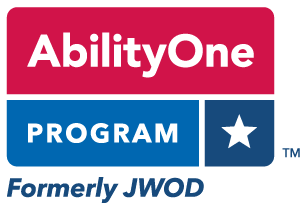 In partnership with AbilityOne, Goodwill of North Florida manages three contracts for the U.S. Department of Defense that provide employment opportunities for individuals with severe disabilities as a result of government set aside contracts. This Goodwill Community Employment Services Program provides jobs to individuals who are not currently ready for community competitive employment. All program qualified participants receive special supports to maintain employment at the various contract sites. Under the supervision of Goodwill, individuals with severe disabilities are able to enter the workforce and become independent, self-sufficient members of the community. They develop a positive work ethic and learn work skills that will allow them to maintain meaningful employment. Government guidelines require 75 percent of the direct labor hours to be performed by individuals with a documented disability. Post job and contract various referral sources for eligible candidates to apply for vacant positions. Enroll all interested candidates in the Job Junction for assistance with application completion online. Job Junction will refer all eligible candidates for an interview and to complete the hiring process. Persons with documented severe disabilities including persons with developmental disabilities, learning disabilities, deaf, and persons with severe mental health disorders. Goodwill employs individuals at the Naval Air Station Jacksonville and Mayport. We manage a food service contract at the Flight Line Galley Naval Air Station Jacksonville. We also manage a food service contract at the Mayport Naval Station Oasis Galley and a shelf-stocking, janitorial, and warehouse contract at Mayport Commissary. Mayport Commissary: Monday through Saturday, Variable shifts and hours: 8:30 a.m. to 6:00 a.m.
Work hours are established based contract requirements. Referral Sources: Various community based organization serving persons with severe disabilities. Referral for supportive service needs (e.g., medical services, transportation, housing, food, etc. ).